Whether you want any metal product from our inventory or simply need a quote, we’re here to assist you. If you work with metal, Metal Core is here to help! Since 2009, we have been providing high-quality products and services throughout Atlantic Canada. We invite you to come on by to see our large fully stocked warehouse to get the products you need to complete your project. From construction contractors and concrete workers to welders and fabricators, we take pride in delivering our products and services on time and just as you ordered it. We’re a service center focused on providing Atlantic Canadian businesses and individuals with a full range of metal products and services to get the job done! Stay connected – Our team communicates clearly with you to ensure that you get everything you need as you need it. We have built effective networks with our suppliers so our customers can get what they need when they need it at an attractive price. Think ahead – We understand that no one has time to play catch-up. Hence, we anticipate and take a proactive approach when it comes to seeing what needs to happen next. Make it easy – We always find a way to remove real and perceived obstacles. Whether it requires a different approach or simply working after hours, our goal is to avoid customer frustration on the job. Knowledge is power – Our team has the experience to answer your questions and guide your purchase decisions so you can focus on the task at hand. Metal Core Atlantic Inc was founded in 2009 by Daniel Rinzler with the help of Bob Perry and Mario Dupuis. We began our journey in a small 4,800-square-feet warehouse, where we learned the value of customer service, hard work, honesty and integrity. Whether you’re a do-it-yourself individual or a large corporation, we always believe in treating everyone with the same respect and importance. 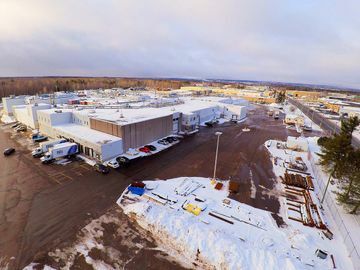 This is how we’ve become one of the largest metal service centers in the greater Moncton area since 2009. Our mission is to provide businesses and individuals throughout Atlantic Canada with quality metal products and services at competitive prices. In 2018, we moved into a brand new facility to serve you better. For steel, aluminum and stainless steel products, give us a call today. For complex cutting or rebar bending jobs, you’re at the right place. Since 2009, we’ve been offering quality metal products of various shapes and sizes. At Bob’s Bargain Bin, we offer drops, cut-offs, precut metal pieces and more at discounted prices.